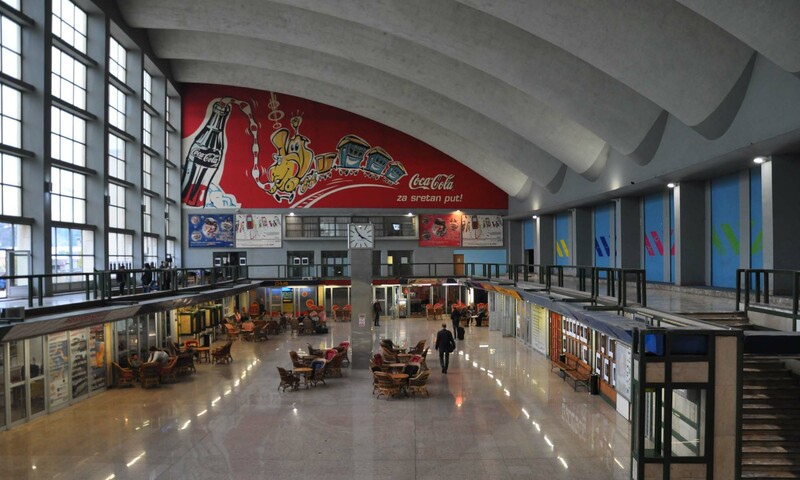 The conference Choreographic art and training in public space took place in the building of the Main Train Station of Sarajevo on September 28th, as a part of ZVRK Festival of Contemporary Dance and Performance. Its goal was to gather local and international professionals from the fields of contemporary choreography, dance and performing arts, but also cultural workers who tackle the issue of Commons in their work within public space. 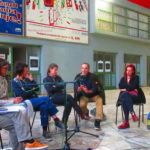 Some of the leading speakers of the conference included the critic and journalist Jean-Marc Adolphe (France), choreographer and an artistic director of ZVRK festival – Jasmina Prolić (Bosnia and Herzegovina), choreographer and artistic director of Ex Nihilo – Anne Le Batard (France), Meryem Jazouli from Espace Darja (Morocco), María González from Mes de Danza festival (Spain), artistic director of Nassim el Raqs – Emilie Petit (Egypt), Fanni Nannay from PLACCC Festival (Hungary), choreographer Žak Valenta from the International Festival of Dance (Croatia), art director of Street Arts Festival Mostar – Marina Đapić (Bosnia and Herzegovina), choreographer Foofwa d’imobilité (Switzerland) and dancers of the SHAPERS project. The act of placing this conference within the open space of the Main Train Station could be seen as an artistic performance by itself, site-specifically created in the context of a paradoxical situation happening in a vivid yet abandoned space. Vivid, in terms of passengers that circulate through its halls to reach the train platforms – but abandoned in terms of lack of any initiatives that would use its open interior as a common good. This abandoned atmosphere within the Main Train Station has been at least shortly transformed on September 28th, by creating new movements and sounds in an artistic discussion that tackled possibilities of transforming, outreaching, bypassing, shifting, and expanding the artistic freedom in public space. An introduction speech to the conference was given by the French critic and journalist Jean-Marc Adolphe, explaining the importance Shapers – an international project aimed at bringing contemporary dance to unusual locations. During times when Europe can be seen as a fortress trying to protect its walls from the invaders, it becomes extremely important to broaden its borders and work on more inclusive methods of creating cultural projects. In order to do so, an in-depth approach should be accepted with long-term commitment on education and exchange between local and international artists and citizens. With this comes the idea of inhabiting public spaces instead of just passing through them, on a real and metaphorical level – an idea that’s being developed by the project Shapers through contemporary dance. Contemporary choreographic practice here becomes not just a form of art, but also a form of activism, a fight for freedom that’s not only an artistic choice but an actual necessity. In Sarajevo, Bosnia and Herzegovina, this necessity becomes even more obvious with thousands of refugees that had to flee during the war in the 1990s. But these were times when Europe still welcomed war refugees and gave them a chance to live and work within its borders, far from today. in-situ performances should be created by well-prepared artists capable of observing everything as language, paying special attention to understanding the adequate context, history, and background of the chosen location. Art, if understood this way, can influence not just individuals but also the political ties of a city or a whole region, by opening up spaces of freedom, exchange, and expression. New questions about the responsibility of the choreographer were raised in order to put focus on creating works that allow space for the performers to dance together and develop solidarity while dancing with others. This approach could be observed in the artistic choices taken in project SHAPERS – Contemporary dance in unusual locations and serve as a positive example of interaction and direction of movements amongst people in the local community, as well as the artists. 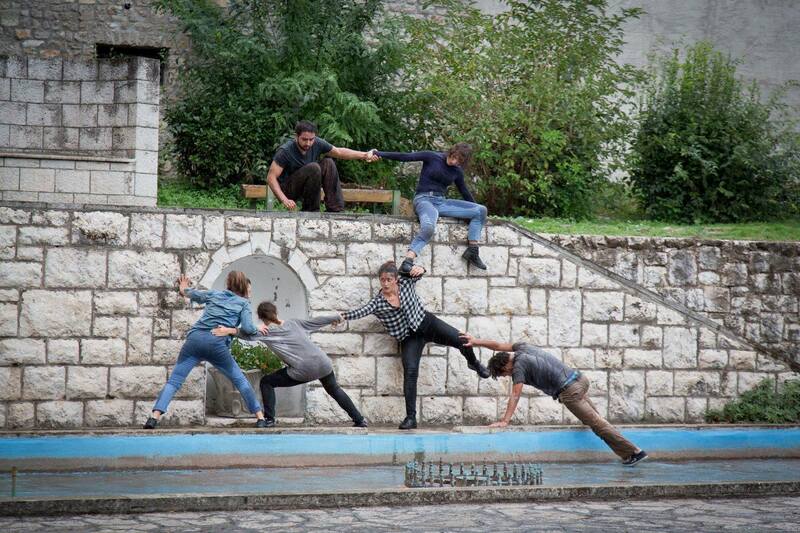 On the other side, this kind of responsible artistic practice can also be observed in the work of Foofwa d’imobilité who directly engages with citizens by allowing them to take part in the performance Dance Walk, operating as a community dance marathon in various cities including Sarajevo, Mostar and Banja Luka in Bosnia and Herzegovina. On the other side, responsible artistic practice in public space also means constant observation of the socio-political situation within its creational context. It is extremely important to be able to act and react with art, and have the courage to move artistic practices further into the field of political engagement or activism when necessary. Artistic director Fanni Nannay uses her example of PLACCC Festival (Hungary), which had to shift its focus from being “just colorful and playful” during its beginnings in 2008. Since then, the Hungarian government has changed from giving full support to their activities to becoming right-wing, strict and dictatorial. Following this change, the festival also made its program more radical and politically engaged. PLACCC constantly kept promoting site-specific art in public space, but it remained open to change and adapted its activities when it became necessary to react to the autocratic government with its strict laws and regulations. One of the main focuses of the festival now lies in critical examinations of how public space and public decisions are interconnected and communicating this topic to a wide audience. Public space needs to remain open, needs to include citizens in both physical and intellectual spaces of freedom and mutual cooperation. Speaking about the context of Bosnia and Herzegovina is also very important at this moment since the country’s political situation, history, and social issues remain so complex and almost constantly misunderstood and untruthfully communicated by the international media. For an example, the artistic director of ZVRK festival – Jasmina Prolić reminds us how during the war in Bosnia, almost all French media stated that there was a “civil war” happening in the country, while the reality was completely different. Artists here have to do things by themselves, to react and create their own space since the government provides no support to its citizens, continues Marina Đapić, artistic director of Street Arts Festival in Mostar. For six years now, she kept bringing international and local artists together in a city destroyed by the war which is now completely transformed through the festival’s activities. Her inspiration came from the architecture of Mostar, full of buildings left empty, destroyed and haunted. These same spaces are now reoccupied and reused, recreated through street art and street performances that bring new life and new hope to the city and its people. Young people are overcoming the fear of the “other” by working together on artistic projects that aim to reoccupy spaces like the old military base Konak, or the avant-garde cultural center OKC Abrašević. These are all proofs of how art can actually trigger political change and unite, despite the nationalist divisions so present within the political structures in Mostar. “Public space is the only choice we have” became one of the most important statements during this conference, coming from ZVRK Festival’s assistant and cultural worker from Mostar, Jasmina Kazazić, who reminds of the non-existent contemporary dance scene in Bosnia and Herzegovina. Here, contemporary dance artists never had the chance to “step out of the auditoriums and theaters”, as it was already the case with the dance company Ex Nihilo in 1994. Here, in 1994, buildings were burning, houses were bombed and civilians were killed in the public space, killed while trying to do their daily activities. Maybe the fear of using public space, so present within Bosnia and Herzegovina, becomes more understandable when we keep this in mind. Here, contemporary dance artists still have to fight to prove that what they are doing is even considered to be art, they have to go out on the streets to show their passion and practice because the street is the only place they have, the only place in which they can feel accepted. On one side, in some European countries creating art within public space can be “poetic”, but on the other, this can be seen as an extremely radical, political and revolutionary act. working with contemporary dance in Morocco means really fighting the law that forbids groups of people to gather in the streets. Cultural workers here necessarily have to be activists, they first need to occupy the space in order to be able to artistically inhabit it, because this also is the only choice they have. A powerful location that hosted performances by Shapers was also Alexandria, Egypt. The choreographer and artistic director of Ex Nihilo – Anne Le Batard (France) reminded us of their choice to use a tight and busy square as the contextual background for choreographers and dancers to develop their artistic practice in. This tight square as an architectural element wasn’t just about using the space for innovative movements, adds the artistic director of Nassim el Raqs – Emilie Petit (Egypt), it was also about thinking how to involve the passer-bys in the performance. The questions asked were should they involve them in the performance at all, and if yes – what would be the most natural, most organic way to address their movements within such a busy space, without disturbing their daily life, while trying to add up new dimensions and possibilities to it. 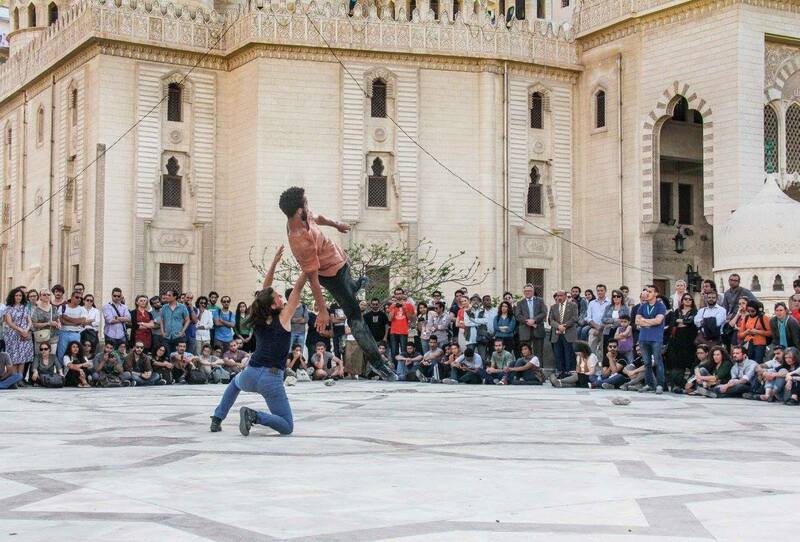 Premiere of the dance piece, during Nassim el raqs #7, on the esplanade of Abu el Abbas el Mursi Mosque, Alexandria. This is, of course, one of the most important questions that should guide the creation of any public space performance. The passer-bys are the most complex part of the whole context since they are the audience who didn’t choose to take part in a performance or watch it, and therefore have to be treated with respect and understanding, while constantly having in mind the various possibilities of different backgrounds they come from. Choreographer Foofwa d’imobilité (Switzerland) adds how during his Dance Walks he always tries to create an atmosphere of trust, so that citizens involved can fully be able to be themselves amongst others, without feeling the pressure to create dance moves of outstanding acrobatic or artistic quality. The artistic quality here lies in the capability of the choreographer to create such an atmosphere amongst all people involved in the workshop. The Dance Walk is a hybrid construction between dancing and walking that puts focus on using the body itself to create new bonds with the public space around us, allowing new forms of inhabiting it poetically. It operates as a marathon that constantly changes location, since the dancers move throughout the city, chaning theiry rythms, speeds and shapes while using the experience as a spiritual practice rather than a performance made for an audience. Here, the chosen locations also become silent choreographers of the dance, since they shape the dynamics and bodies of the dancers involved. Choosing the right locations within the city of production also needs to be one of the priorities while choreographing the work. Therefore, not only central locations should be taken as platforms for operation, and an in-depth research of all neighborhoods should be done, which is a research that doesn’t only consist of walking through the city, but also creatively engaging with the locals and getting informed about the actual necessities which could be addressed artistically in certain spaces. But what is Art in Public Space Today? In the end, there is no easy answer to what public space is today and what art in public space should be – other than it is up to us to remain constantly sensitive to the life happening around us, whether we are creating a work of art or just inhabiting the space by doing our daily activities. This sensitivity is essential both to artists and all citizens who should constantly be reminded of their role in shaping the material and intellectual forms of public space. Occupation of public space sometimes becomes the only form of expressing our own freedom of existence, which is actually to be found in the ways we are allowed to use this space as an extension of our own being, moving beyond the private sanctuary of our homes. In times when Europe and the whole world moves into right-wing political approaches which aim to exclude all differences and become narrow-minded fortresses, it is up to artists to find creative ways of expanding not just their own freedom of movement and thought, but freedom of all other people by doing responsible and socially engaged work. Smirna Kulenović [Contemporary Art Gallery Brodac & the movement for Art in Public Spaces Dobre Kote] is a young artist, activist, curator and art historian with a professional educational background in art history and philosophy. Smirna works as a curator of an autonomous contemporary art gallery “Brodac” in Sarajevo, and is a founder/creative director of the Movement for Art in Public Spaces “Dobre Kote”.